The morning started out nice and sunny. Somewhere along the day, though, those gray clouds crept in, resulting in an overcast afternoon and me wanting to start a new project and not knowing where to start. I looked at my fabric stash and paged through my quilting books and thought about half a dozen quilt top designs I could sew. I looked at my yarn stash and flipped through back issues of crocheting magazines and thought about half a dozen things that I could crochet. In the end, I felt so overwhelmed by all of my possible choices that I just lay on the carpeted floor and stared at the ceiling. And then I thought about sewing a large, patchwork pillowcase cover for the floor pillow. I ended up not starting a new project. I picked up the sock and knit a few more rows. I made a deal with myself to at least finish turning the heel before considering a new project. 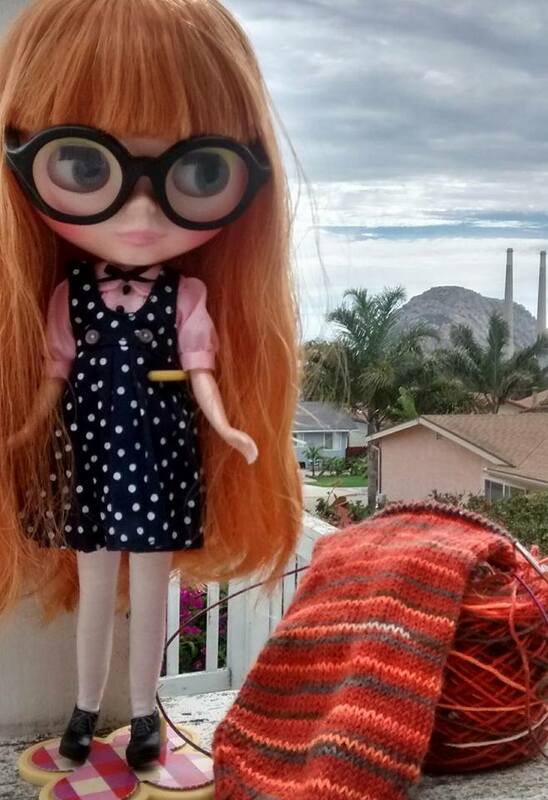 Categories: Handmade | Tags: Blythe, knitting, Morro Bay, socks | Permalink.